Youth, Youth and Junior Elite and Adults - triathlon, swimming, cycling and running. Youth, Junior and Adult training programs. We have (2), 12-week triathlon training programs each year. These begin in March - August. We have a Summer and Winter Cycling Program, Open Water Swim Program, and a Winter Running Program. Adult training is available individually or with our juniors program. 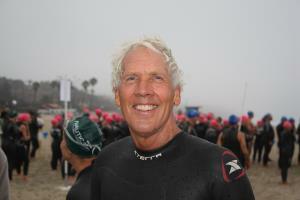 Coach Todd has been active in triathlons and endurance cycling since the mid 80's. He brings to his athletes over 33 years of training and racing experience. Coach Todd currently holds a USAT Level II Coaching Certification, USAT Youth and Junior Certification and USA Cycling Coaching Certification. Coach Todd is very active in the art and science of multi-sport and strives to stay on the cutting edge of the nutritional, psychological, and physiological aspects of the sport. A "want to" attitude and we'll provide all the "how to"
Success. Coach Todd Waldner has been notified of your message.